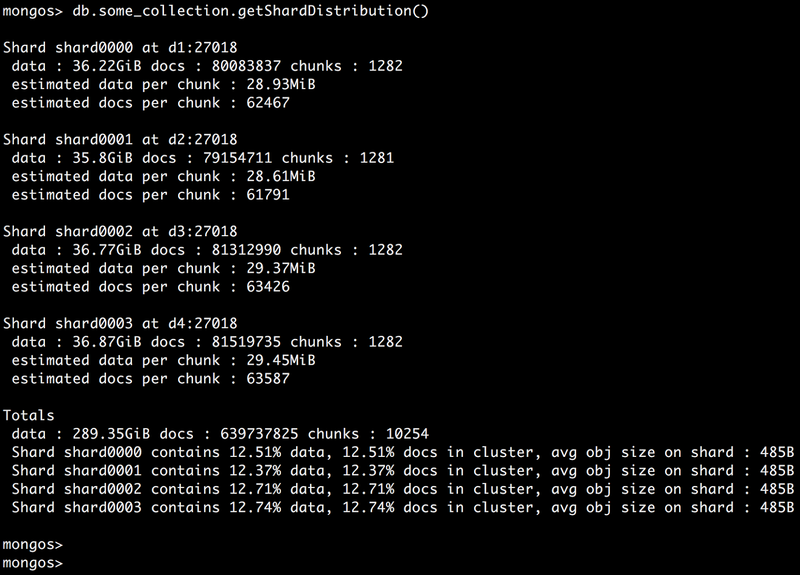 One of the most important things in the MongoDB shard environment is to keep your data balanced among the shards. The data might not be evenly distributed or not distributed at all for a number of reasons. 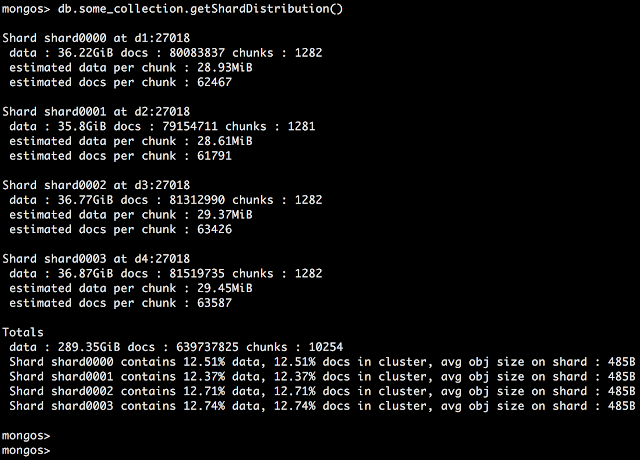 A quick way to check your data distribution on a specific collection is to use getShardDistribution() command. This commands provides you with a snapshot of the current state of each shard for a specific collection including the size of each shard and distribution percentage. Shards could be unbalanced because of improper configuration, wrong shard key or because the balancer is not working properly or fast enough. When a new shard is added, it could take days to re-balance all the shards depending on the data size.